You can find a continually changing collection of fibre - hats, mitts, toques, scarves... at the Yukon Made Store in Shipyards Park. Open at 11 am year-round from Tuesday to Saturday. Hand-dyed roving and yarn as well as kits and handmade drop spindles are available from our Etsy Store or the Yukon Made Store in Shipyards Park. Have something specific in mind? Give us a call or send an email and we would be happy to design just the right thing. 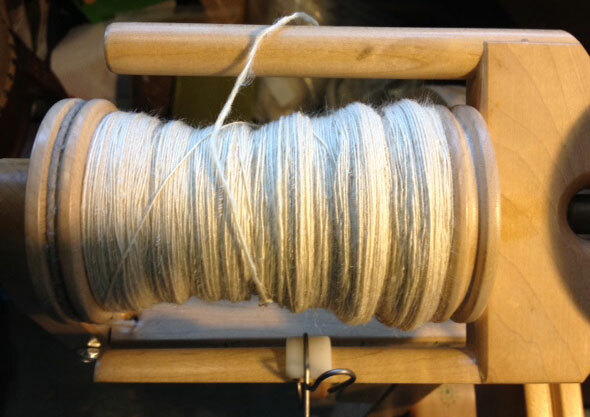 Have the perfect roving you would like spun? Or have been dying to get some of your pet's fun incorporated into yarn? You supply the fibre; I will turn it into yarn for $0.20/yard. Or choose from a collection of already spun yarns. See our collection at the Yukon Made Store. shown: Outlander's style collar knit from two strands of bulky yarn decorated with a vintage button. Many other collars, scarves and toques to choose from. Want to learn to knit your own toque? 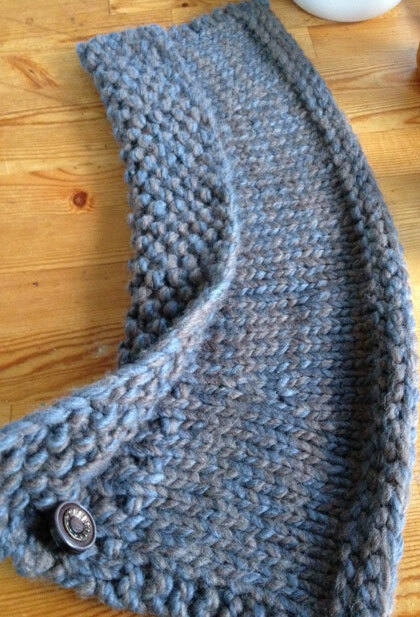 Visit the Itsy Bitsy Yarn Shop for a list of current classes. 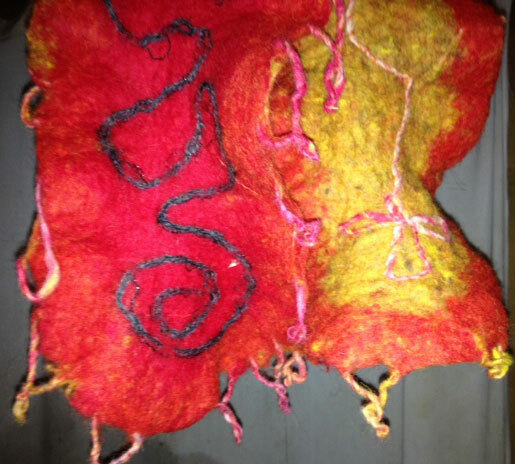 Some of our hand-dyed rovings and yarns and handspun knitting kits are available there too. Combinations of bright and naturally coloured fibres make a really fun (and warm) accessory. Super soft merino wool, funky yarn, angora hair, mohair and more can be found in these one-of-a-kind beauties. Love to play with colour? 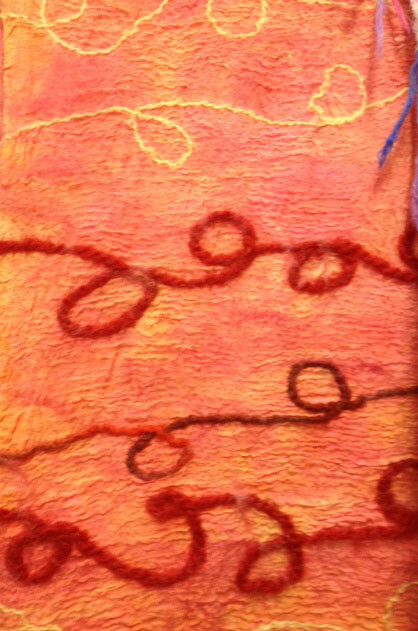 Let Sophie at the Itsy Bitsy Yarn Shop know when you would like to participate in a workshop. 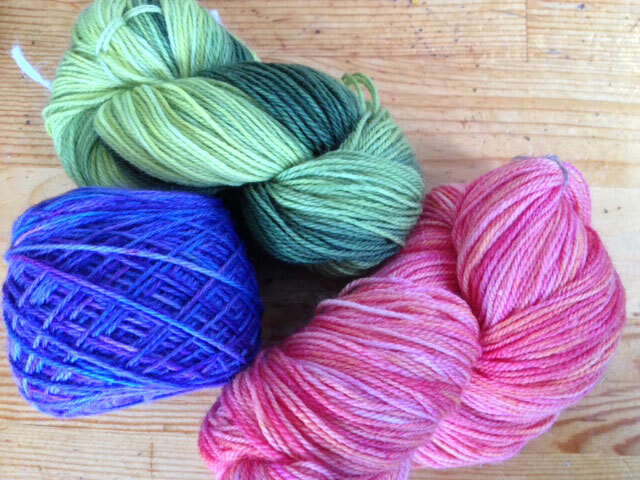 What could be more fun than knitting up a pair of socks or a lovely scarf from a skein of hand dyed yarn? Available at the Yukon Made Store or Itsy Bitsy Yarn Shop. Super fine, yet surprisingly sturdy scarves are made by laminating thin layers of wool, alpaca, or angora to a base of pure silk. 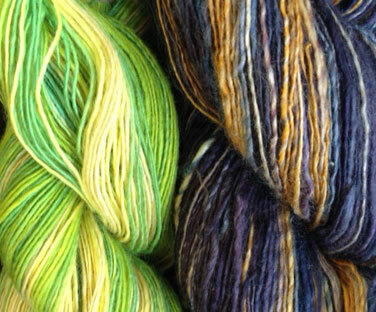 Natural colours or super vibrant with hand dyes and lots of yarn accents - you get to choose! 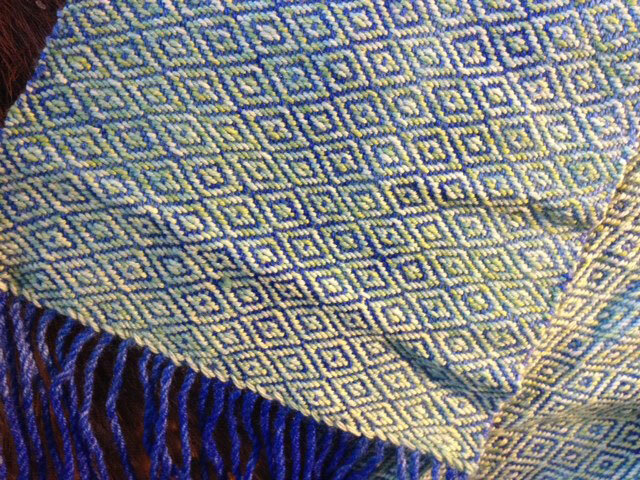 shown: hand woven merino wool scarf in rosepath design with handpainted warp and hand dyed weft. The loom has been newly installed in the weaving cabin so you can look forward to many more woven creations making their way to the Yukon Made Store, the Cranberry Fair and the 12 Days Market. 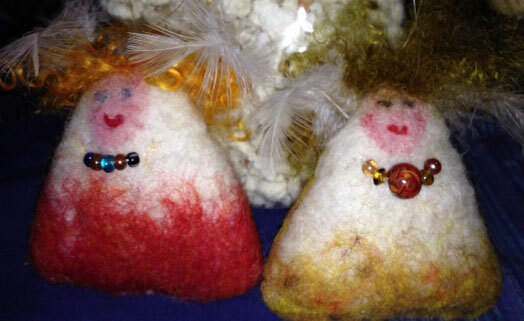 And a crew of felted angels who joined us last year at the Cranberry Fair. Some of their friends are expected to be in town soon.